New Milford Hospital’s new emergency department will officially open to the public on June 9th. 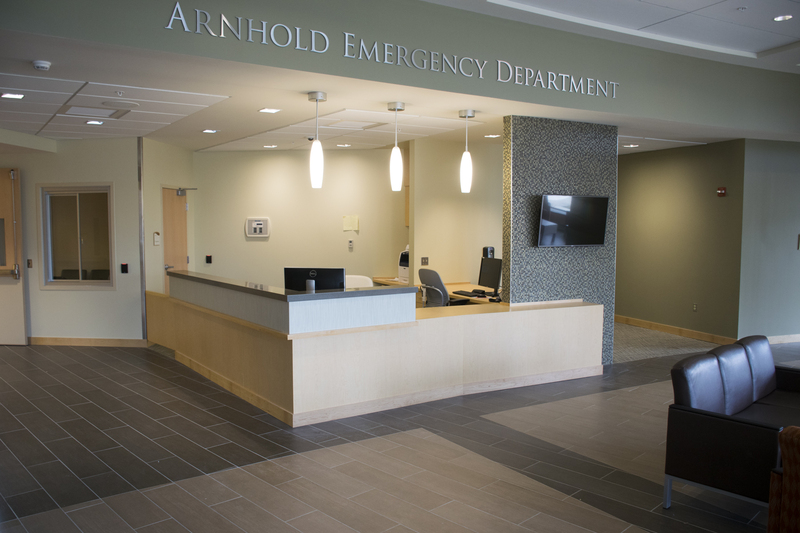 New Milford, Connecticut – On June 9th, New Milford Hospital’s new Arnhold Emergency Department will officially open to the public. The grand opening marked a major milestone for the eleven month project which was completed in late April. O&G Industries served as the Construction Manager for the new 11,000 square foot Emergency Department which will double the size of the previous facility. The new facility is expected to serve more than 20,000 patients each year from Connecticut and Eastern New York state. The new Emergency Department includes 14 patient rooms that will provide privacy for patients and their families, a central nursing station that allows for direct oversight of patients and a larger triage area. In addition, the facility includes a common layout for all of the patient rooms and separate entrances for ambulance traffic and the public. In addition to the Emergency Department project, O&G worked with hospital administration to complete other smaller projects at the facility during the project. These projects include renovating the hospital gift shop, building a new cafeteria and converting the old cafeteria to office space. O&G completed the Arnhold Emergency Department project two weeks ahead of schedule and continues working on other projects at the facility.